Daydreams tend to inspire my writing more than dreams at night...especially since I so rarely remember those night-time dreams and, when I do, they're usually scary! But I find myself daydreaming a lot, especially when I exercise at the gym. My mind starts wandering the moment I step onto that elliptical machine, and I begin to imagine these interesting scenarios between characters -- frequently romantic scenes punctuated by some fast-paced action. That also probably comes from watching so many episodes of "Castle," "NCIS: Los Angeles," "Nikita," "Supernatural" and "Sleepy Hollow" while trying to work out...LOL. I always wrote poetry and essays, but I started writing fiction seriously in my early 30s. It took me nearly 6 years of writing manuscripts and submitting them before I signed with a literary agent and almost 2 more years before my debut novel sold to a New York publisher. According to Jane (a steamy, new adult, light paranormal about a woman who has the ghost of Jane Austen in her head, giving her dating advice) was my first published book, although it was actually the 5th manuscript I'd written. So, it was definitely NOT a quick process! However, three of the romantic comedies I'd written before "Jane" were later published individually and in a boxed set. As The Sweet Temptations Collection, they hit the USA Today Bestseller List this past fall, so it was exciting to finally see those stories reach readers, too. I write in multiple genres. According to Jane is new adult/light paranormal/chick lit, Friday Mornings at Nine is more serious women's fiction, and A Summer in Europe is romantic women's fiction/travel adventure. I've written several romantic comedies -- some steamy, some sweeter -- like On Any Given Sundae. And my latest book, The Road to You, is a new adult/older YA coming-of-age mystery!! Clearly, I enjoy mixing genres ;). What is it about these genre that appeals to you the most? Do you read other genres? If so, which? I read almost everything. I love romances of all kinds as well as mysteries, historical fiction, contemporaries, paranormal stories, both comedy and drama, women's fiction, young adult, new adult and the literary classics. The only genres I need to watch out for when reading are horror or gory thrillers. Very graphic violent descriptions will sometimes give me nightmares if I'm not careful! "Until I found Gideon’s journal in the tool shed—locked in the cedar box where I’d once hidden my old diary—I’d been led to believe my brother was dead. But the contents of his journal changed all that." "In that expectant space between silence and melody, our trip began..."
No. Technically, The Road to You is a standalone story. But I set the novel in the late 1970s for a number of reasons, one of them being that I liked to imagine my main character, Aurora, in the present day, too...knowing how she might react to the world differently for having had the experiences she did when she was 17. So I have, in fact, written an expanded version of the novel that includes separate chapters with a parallel story about Aurora's life right now -- a story that takes place in 2014, when she's a 54-year-old mom with adult sons. That's something I may publish later this year for readers who might enjoy reading about both the older and younger Aurora simultaneously. I've been fortunate to have had five excellent cover designers: Kristine Mills-Noble at Kensington Books, Rebecca Young at Keahirada Designs, Kim Killion at The Killion Group, Emily Tippetts at E.M. Tippetts Book Designs, and Sarah Hansen at Okay Creations. All of them have crafted lovely covers for my various novels. I'd imagined Ian Somerhalder (of "The Vampire Diaries") as Donovan and Willa Holland (of "Arrow") as Aurora. Would love to see them take on those roles! It would have to be Bridget Jones's Diary. The Jane Austen connection drew me in and made me read Helen Fielding's book in the first place, and the fun performances (especially by Colin Firth) made the film a delight. I just finished WIFE 22 by Melanie Gideon and, before that, Violet Duke's RESISTING THE BAD BOY. Really loved them both! Edie Ramer -- I've enjoyed so many of her books, and her novel CHRISTMAS AT ANGEL LAKE was such a wonderful, heartwarming romance -- I loved it! Depending on the type of work I'm doing, I write in different places around our house. When I'm plotting and organizing scenes, I spread all of the pages out on the floor on the living room and try to make sense of them. When I'm drafting, I sit on our bed and write in longhand. Then, I go to my office to type and clean up the draft, printing out the pages of each completed chapter. When I have most of the book written/typed, I take the printed pages with me to the sofa downstairs and edit there. I'll also send the completed draft to my Kindle and read through the manuscript that way, so I can see it in another format. The whole writing thing can be a fairly involved process, but it's the best job in the world for me :). It was kind of a toss up between a detective, a scientist and a musician, LOL. Every once in a while, I still play the piano or the guitar, but my first instrument was actually the viola. I sucked at it and do NOT play that one anymore!! Ha! I have no idea which actress would be nutty enough to do that!! 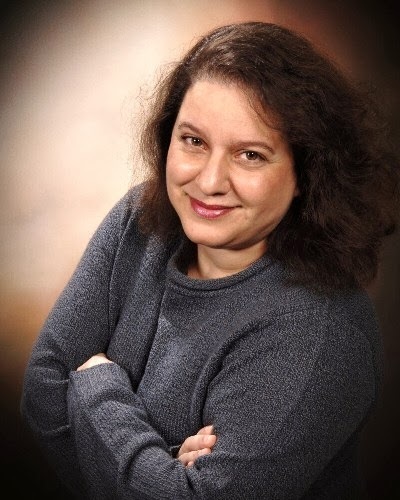 Marilyn Brant is a USA TODAY bestselling and award-winning author of contemporary fiction, and she was named the 2013 Illinois Author of the Year by the Illinois Association of Teachers of English. With Kensington Books, she wrote ACCORDING TO JANE, the story of a modern woman who receives dating advice from the spirit of Jane Austen (October 2009); FRIDAY MORNINGS AT NINE, a tale about three suburban moms, their marriages and what happens a decade or two after the "Happily Ever After" (a Doubleday Book Club and Book-of-the-Month Club pick in 2010); and A SUMMER IN EUROPE, a novel about a woman's journey of self discovery as she travels through Europe with her adventurous aunt's Sudoku & Mahjongg Club (a Literary Guild and BOMC2 featured alternate in 2011, and a Rhapsody Book Club Top 20 Bestseller in "Fiction & Literature" in 2012). She's also a #1 Kindle & #1 Nook Bestseller and has written a series of fun and flirty contemporary romantic comedies, available as original ebooks. 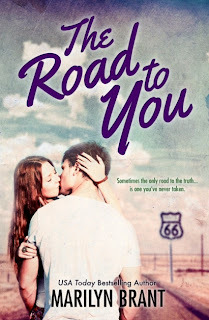 Her newest novel, THE ROAD TO YOU, is a coming-of-age romantic mystery and was released in October 2013. 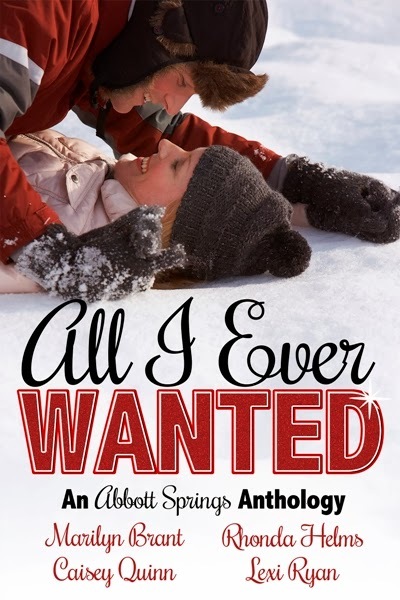 And she's also part of a romantic new-adult contemporary anthology called ALL I EVER WANTED with authors Caisey Quinn, Lexi Ryan and Rhonda Helms (January 2014). Thank you so much for interviewing me and sharing it here on your blog!! Happy New Year to you and everyone who reads this. I hope it'll be a wonderful 2014 for all of us :).